In our connected world, people shop online almost as often as they physically shop in stores. In fact, according to Shopify, global retail ecommerce sales are on track to reach $4.5 trillion in 2021, up from $1.3 trillion in 2014. And, these trends don’t just apply to businesses selling directly to consumers (B2C). B2B ecommerce sales, (businesses selling directly to other businesses) generate three times as much revenue as B2C, at $7.7 trillion in sales, compared to B2C’s $2.3 trillion. Numbers like these reveal an opportunity that’s not likely to diminish anytime soon, but in order to take part, you first have to create an impeccable online storefront. In the current digital landscape, your website is your store, and if your store isn’t in order, your ability to leverage the high growth of sales online will be threatened. Offline, a well-run store offers a clean, organized shopping experience and incredible customer service. This doesn’t change when you start an online store, but there are additional aspects you must keep in mind to keep your storefront is in tip-top shape. So, in today’s post, we’ll discuss four ways to improve your online storefront, so you can start reaping the benefits of the digital revolution. What would you do if you walked into a store and there was no signage and no organization? If it was just a building filled with shelves and racks full of uncategorized items strewn about without rhyme or reason? I know I don’t speak for everyone, but I’d feel overwhelmed and would turn right around and leave. Unfortunately, this happens all too often online. Someone clicks into a website, and they don’t know where to go next. The navigation at the top of the site is unclear; they can’t find the product they’re looking for, or they have to click on too many drop-down menus to even begin browsing the site. So, they give up, click out, and never return again. So, what can you do? In 2016, mobile search officially overcame desktop search with nearly 60 percent of all searches coming from mobile devices. That means that people shopping from a mobile device are more common than those who shop from a desktop computer. What does this mean for you? You must have a responsive website to ensure a great user experience. A responsive website automatically resizes to fit the device your customers are viewing your website on. Have you ever been to a website on your phone and the text is so small you can’t even read it, let alone click on it? That website wasn’t responsive and was probably really frustrating. Forty percent of users will go to a competitor’s site after a bad mobile experience. Plus, Google is now penalizing websites that aren’t optimized for mobile, which means your website may not pop up in search results, making it hard to attract more website traffic. So, as the popularity of mobile devices continues to grow, make sure users can easily find you and complete their purchase, no matter what device they’re shopping on. For a great list of tips on mobile optimization, check out this thorough guide from the experts at Moz. When developing your website, think about the customer journey, from the first interaction with your company, to the shopping experience, to the point of purchase, and finally to the relationship you maintain through ongoing communication. Awareness: the customer becomes aware of your brand or product through social media, advertising, or word-of-mouth. Consideration: the research stage in which the customer is deciding whether or not to purchase your product. Purchase: the customer buys your product. Retention: the customer is satisfied with your product and or your brand and continues to patronize your business. Advocacy: the customer becomes a brand advocate and spreads the word about your product to their community and through online reviews. For example, if a new customer just entered your website after becoming aware of your business through your active social media presence, they may already be in the consideration stage. After browsing through your products page, they’re trying to decide if they want to make a purchase. What can you do to encourage them to follow through? The answer? Including testimonials and product reviews on your site are a great way to encourage people to purchase your product. They help build your company’s credibility. In fact, 72 percent of consumers say positive reviews make them trust businesses more. So, if you want to encourage browsers to move from the consideration stage to the purchase stage, include prominent product reviews and customer testimonials throughout your product pages. Once your site is up and running, make sure you’ve tested it to ensure it provides an instinctual experience that allows users to easily find what they’re looking for no matter what device (mobile, tablet, desktop, and so on) they are using. There are a couple different approaches to testing your website. The first approach is to have your employees test your website’s usability. Ask employees (preferably ones that are unfamiliar with the website design) to complete a set list of tasks on your website. Then, gather feedback from them to determine where they got confused or frustrated. This approach is easy, cheap, and can help you keep your information confidential if need be. But, don’t forget your employees are familiar with your business and your industry, so they may understand jargon or processes that your everyday user won’t understand. It can be valuable to turn to outsiders for help. If you want to get feedback from users outside of your company, there are many tools available to help you test and improve the usability of your website. 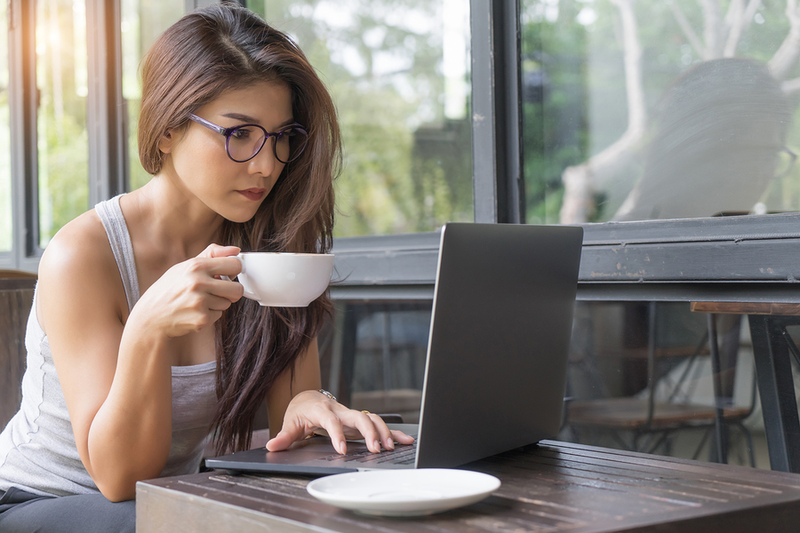 Think about surveys, heatmaps, A/B testing, and remote user feedback (users test your website at home and then send back feedback in the form of videos, screenshots, or a simple email). For a full explanation of these various tools, check out this super helpful article from UXPlanet. There are two parts of customer service that I want to emphasize. The first is all about the language on your site. How do you talk to your customers? Is everything about your business, your products, and how your company is the best thing since sliced bread? Or do you talk about how your product is going to make your customers’ lives easier? And what you can do to help relieve stress, or save time, or make their life better somehow? When you’re creating the copy for your website, you should always have your customers’ needs in mind to ensure you’re helping solve their everyday issues. Again, we’ll take this back to the customer journey because how you communicate with your customers will differ depending on where they are in the customer journey. For example, if a customer is in the awareness stage, think about how you can communicate with them to grow their interest in your company. Is all your contact information correct? Are your shipping and return policies clear and available? Are your product descriptions (and sizing charts, if applicable) accurate? This stage is about building trust, so make sure the information on your site is correct. On the other hand, if the customer has already gone through the first part of the funnel and purchased a product from you, how can you maintain your relationship to increase retention and even turn your customers into advocates? Set up a referral program that allows them to save money on future purchases. The key here is to provide these customers with personalized communication that keeps them coming back for more. Providing excellent customer service is also a part of being customer-centric. Offer multiple ways for your customers to contact you to ensure they can do it on their time in their preferred way. Chat boxes, email, and telephone are a great place to start. Also, keep in mind that no one likes to wait for days to hear back from a company, wondering if they even got their inquiry. If someone contacts you, set up an automatic confirmation email to let them know that you’ve received the message and give them an approximate timeline of when they can expect to hear back from you. Even if it’s as long as 48 hours, it’s much better to set the expectation rather than leaving them wondering if they’ll ever hear back at all. First things first—if no one can find your store, no one can purchase your products or services, right? So, how do you become more visible online? Using SEO best practices is like putting a bright, flashing neon sign on your storefront. SEO, or search engine optimization, makes your website and its content more visible to search engines. Check out the video below for an easy-to-understand definition of SEO. When used consistently, SEO tactics can help you push your website up Google’s results page so you have a greater chance of reaching your ideal audience when they search for keywords related to your brand. The closer you are to the top of the search engine results page (SERP), the more likely it is that searchers will click onto your site. According to a study from Ignite Visibility, the first result has a click-through rate of 20.5 percent, whereas the tenth result has a rate of 7.95 percent. If you’re still a bit confused about SEO, let’s take a moment to go through an example. Let’s say you’re a business selling a wide variety of shoelaces. Start off by asking yourself, “When a person wants to buy new shoelaces, what do they do?” If they’re like most people today, they turn to Google and start to browse the internet for shoelaces. The terms they type into Google are called “keywords.” In this case, your prospective customers will probably type in keywords like: “cool shoelaces,” “where to buy shoelaces,” “buy shoelaces,” and “purple shoelaces.” The links that pop up are called search engine results and are determined by search engine algorithms that consider various factors (like keywords, domain authority, and a slew of other elements that we won’t get into today). 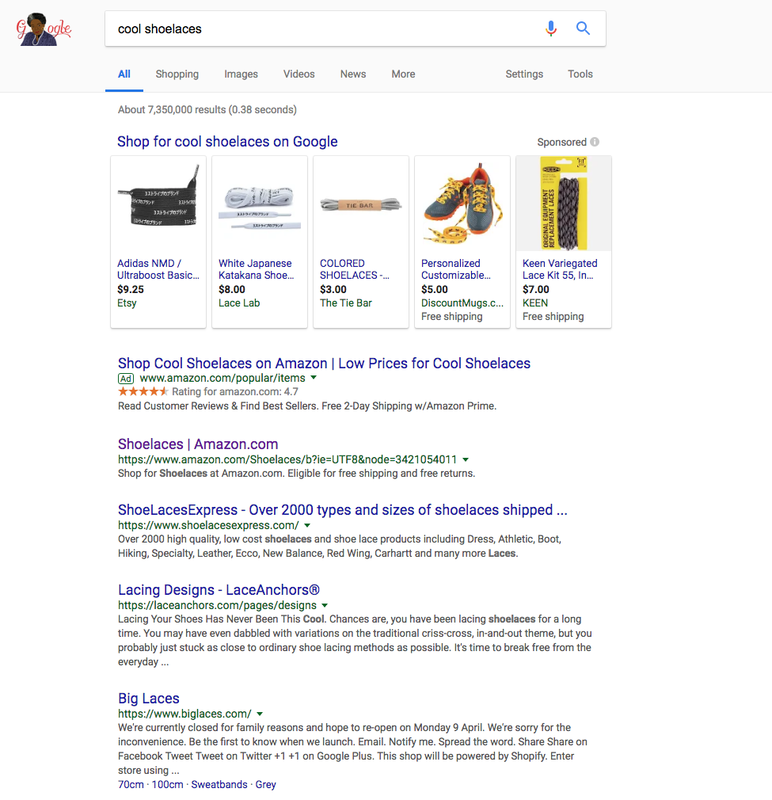 As seen in the screenshot below, Amazon ranks first for the keyword “cool shoelaces.” This likely means that Amazon (and the companies that are listed below Amazon) have used SEO best practices to help them rank for keywords related to shoelaces. So, your goal should be to increase your rank and receive those coveted clicks, and a great way to do that is to implement SEO best practices. Below, I’ve listed some of the SEO basics for ecommerce to get you started. Using strategic keywords is a key part of improving your SEO strategy. Keywords are the topics you want to rank for on the search results page (i.e., shoelaces in our previous example). When determining what keywords you want to use, it’s most important they reflect the language that searchers use when typing their queries into a search engine’s search bar. When your content matches what searchers are looking for, they are more likely to click through to your website, proving your relevance while also increasing your website traffic. Once you’ve identified the keyword you want to rank for, we recommend using that keyword throughout the copy of your website, and in hidden places like your photo alt tags, in your meta description for the web page, and within the titles of your web pages. For ecommerce sites, it’s especially important to use your keywords within your product descriptions because it will help searchers easily find what they are looking for (more on this in the next tip). The goal is not to “stuff” your pages full of keywords, but to use them when appropriate to show that you are an authority on the subject. It can be tempting to reuse product descriptions from your own copy and from product manufacturers throughout your website, but you should try to avoid it at all costs. Your product descriptions are the one thing that helps Google understand what products you’re offering online. So, make sure to diversify the text in your product descriptions to accurately describe the multiple items on your website. Make your descriptions unique and memorable. According to Inflow, lower-tier eCommerce websites can increase organic search traffic by as much as 50-100 percent by rewriting product descriptions for half of their website’s product pages. Unique product descriptions help differentiate you from the competition and make your way up the search results page (SERPs). When writing these product descriptions, make sure to include long-tail keywords. 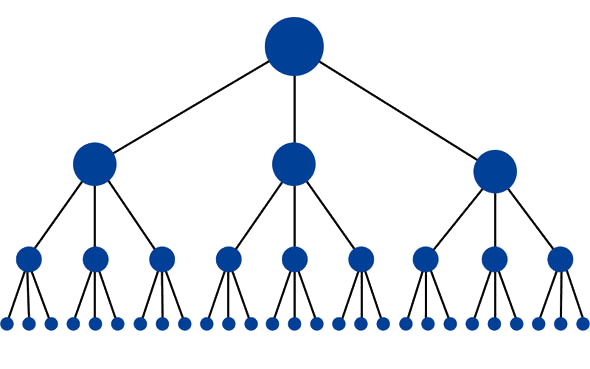 Long-tail keywords are more descriptive versions of a basic keyword. For example, instead of using the keyword “shoelaces” in your product description, try using long-tail keywords like “36-inch yellow shoelaces.” This will help Google and its users to better understand your product offering. Therefore, if someone were to type “36-inch yellow shoelaces” into the Google search bar, your product will be more likely to rank near the top. In the image below, the seller is likely trying to rank for the long tail keyword: elastic no tie shoelaces. When you’re creating new web pages, don’t forget about optimizing your URLs. According to Search Engine Land, URLs won’t make or break your SEO strategy, but they will help you gain an edge over the competition. Keep your URLs short. Short URLs are more likely to rank higher on the search results page. Include a keyword in your URL (for example: www.shoelaceking.com/yellow-shoelaces). In the above example, the URL is ideal because it only includes the original domain name (www.shoelaceking.com) and the target keyword (yellow shoelaces). When planning your website, your pages should logically link to each other from your category page down to each individual product. This is called internal linking. Not only does this provide a better user experience, but it also helps search engine bots easily crawl and index your website. When search crawlers index your website, they save your data in search engine servers so they can easily include it as a suggested result when someone searches for that specific topic. So, as you create new web pages and add new products to your online storefront, make sure each page is being linked to from another page, but only do so where it makes sense. For example, if you just added a new set of men’s polka-dot shoelaces to your website, don’t link to them from the women’s socks category page. This helps to keep your website organized and user-friendly. For more information about website architecture, check out this article from Matrix Marketing Group. How will you know if your website is working for you if you never look at your metrics? When you set up your online storefront, don’t forget to set up a Google Analytics account, too. It’s free and will help you track your page visits, click-through-rates, bounce rates, and a whole load of other metrics that will help you determine your website’s current level of success. Google Analytics works by attaching a unique tracking code to each page of your website. When visitors come to your website, the code will activate and track how your visitors interact with your site. It collects all this data into various dashboards stored within your Google Analytics account. You can set up your Google Analytics tracking here. Below I’ve included a list of basic metrics that can be calculated using information in your Google Analytics dashboard. Use these to help you keep track of your progress with website performance and ROI in mind. The number under the label: Users, is your website traffic. But, remember you can manipulate the dates in the top right corner to view users by the day, week, month, or even year. This will allow you to track website traffic over time to recognize periods of growth, which may help you determine which marketing tactics are working best for you. Like your website traffic, finding your bounce rate is really easy on Google Analytics. In fact, you’ll find it in the same location as your number of users. So, once again, click on “Audience” on the left side of your screen. A drop-down menu will pop up, and then you should click “Overview.” On this dashboard, you’ll see a percentage under the label: Bounce Rate. The average bounce rate is around 40 to 50 percent, so you’ll want to keep your around or below that number. A high bounce rate could mean that customers aren’t finding what they’re hoping for or that your website is poorly designed. If you have a high bounce rate, revisit how your website is organized. Are there relevant links on your site pages that lead visitors deeper into your website? For example, let’s say a visitor entered your website to look at a dress they saw in an ad. But, upon closer inspection, they decided they didn’t like the color of the dress. If you don’t have any other links on the product page for them to check out, they’ll quickly exit your website (and contribute to a high bounce rate). However, if you were to list additional items on the dress’ product page under the label, “You Might Also Be Interested In,” or “Shoppers Like You Also Liked These Items,” you can encourage visitors to click through to more pages on your website (decreasing your bounce rate). Once again, this metric will be found in your Google Analytics account on the same dashboard as your bounce rate and your website users. It will be under the label: Average Visit Duration. A longer visit duration indicates that customers are finding your content or products valuable and staying on your page for a longer period of time. Google uses visit duration as a good way to determine if your site is credible or not because website visitors don’t typically stay on a spammy, useless website for a long period of time. A good average visit duration is about 2 to 3 minutes. You can increase your website’s visit duration by writing long-form content on your site, including videos throughout your website, or even providing relevant links at the bottom of each product page (see tip number 2 above). All of these will encourage your visitors to stay on your website for a longer period of time. For example, if you had 15,000 visitors in the month of March, and you made 300 sales during that month, your sales conversion rate would be 2 percent. This means that 2 percent of your website visitors are converting from leads to customers. Obviously, with sales conversion rates, the higher the better. Higher conversion rates mean more of your website visitors are purchasing your products, which means higher revenue for you. The average conversion rate for online shoppers in the U.S. is 3 percent, so you should strive for at least that. If you have a low sales conversion rate, don’t worry! There are a lot of steps you can take to improve your online conversion rate. Check out this article for 39 ways to increase your conversion rate. Calculate this metric by summing all your marketing expenses and dividing by the number of customers gained over a specific time period. Your CAC will show how much it costs to acquire each customer, and in turn, will reveal the effectiveness of your marketing. A low customer acquisition cost means that you have a high marketing return on investment (ROI) because you don’t have to spend a lot of money on marketing to acquire more customers. That’s great! If you have a high customer acquisition cost, that means you are spending too much on marketing that isn’t working for you. If you have this issue, refer to the article I mentioned above on increasing conversion rates. This may help you turn more of your website visitors into paying customers, which will drive down your customer acquisition costs. As you move forward, you can expand this list to ensure you’re tracking the right key performance indicators (KPIs) for your particular business. There’s a lot that goes into creating and optimizing your website—it’s much more than just choosing an attractive template and filling it with catchy taglines and pretty pictures. Hopefully, you now understand that it’s all about creating an online storefront that’s designed for your customers and provides them with the best possible experience. Be warned that you may not see instant results with these tips, but within a few months, you should begin seeing an uptick in website traffic and an increase in search rank. Be consistent in how you present yourself to your customers and you’ll develop a loyal following in no time.